Happy Good Friday y’all! WOOT! 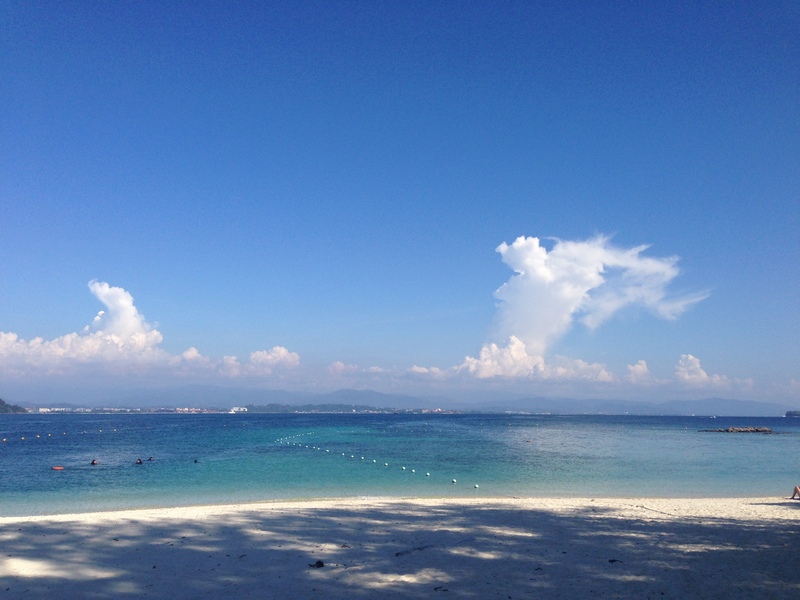 The beautiful beach at Sapi Island. Best place for food in Kota Kinabalu is Fatt Kee Restaurant. Order the Assam Fish Curry and Sabah Chai (veg). Visit the Poring Hot Springs (2 hour drive from KK) and stay/eat at Round Inn where the service and food are awesome. Can’t stop binge reading Gemma Burgess‘ New York set chick lit – Currently feverishly flipping through Love and Chaos. Friends over for cards and yummy raspberry bars. Finally buying the IKEA Tarva chest-of-drawers that I’m going to HACK. Flea-ing at Lucky Plaza on Sunday! Finally If Google Was a Guy is really spot on. Heehee.